The centrered return distribution is a Normal gaussian distribution which the form is a Bell curve. 90%-99% of the darwins will be like this ? I search the others with you ! 1- A distribution with a positive skew. A peak > 0% ! 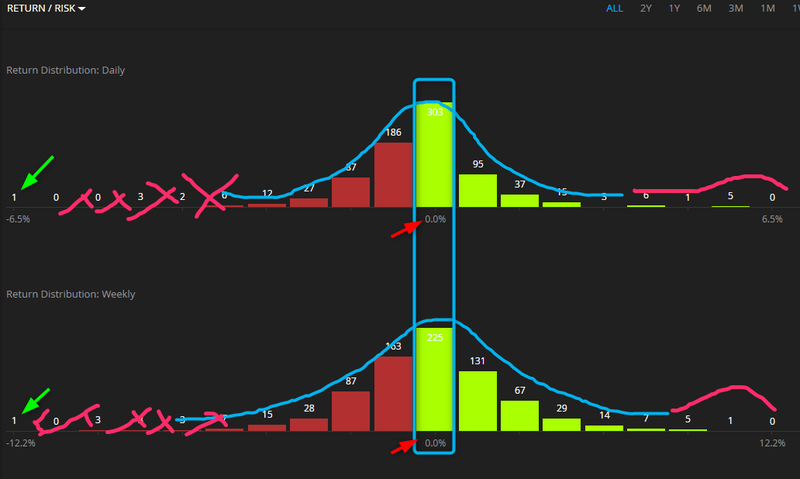 2- A normal distribution (peak at +-0%) without a negative tail ! Filters can not make the job, so i tell your help. Nota: The darwins should have enough trading days, minimum 100 representatives trading decisions or 5/10 Ex or others ideas ?